It's all started since I was in junior high school. I went to a private high school so I didn't have to wear black shoes (regulation of public school in Indonesia atm). I had 14 pairs of shoes when I was in junior high *grin*-most of them are red & pink. My favourite brand was Gosh. In senior high, I collected less than in junior high. My favourite brand were Adidas and Converse. Things got more serious when I go to university. I've been receiving kind of monthly 'pocket' money from my parents. I managed it well so that I could still but any shoes that I want --I never asked money from my parent to buy shoes...I managed it from my monthly 'pocket' money. 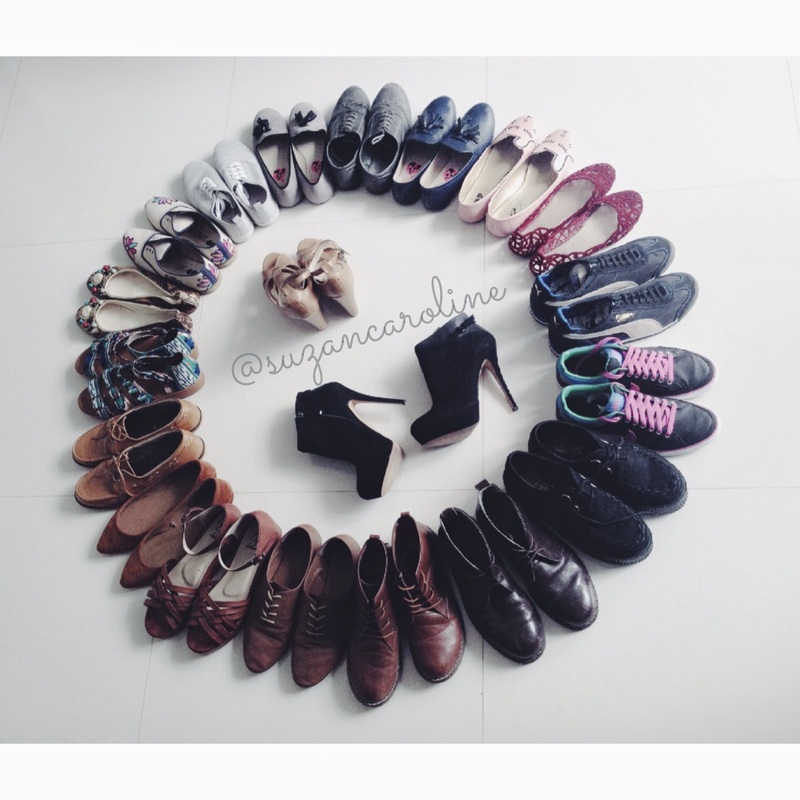 I've been collecting many kinds of shoes from many brand -local and international. Kinds of shoes that I've been collecting until now are Wellington boot, Dr.Martens, Gladiator, Loafer, Oxford, Ballerina Flats, Slip-on, Moccasin, Dockside, Wedges, Stiletto, Platform, Ankle strap, Nike Air, sneakers, Mary janes, Pump and Open toe sandals. The international brands are mostly from H&M, Dr.Martens, Forever21, Zara, Stradivarius, Rubi Shoes, Pull and Bear, New Look, Nike, Puma and Adidas. For local brand, I like PopFlats and AdorableProjects.